MK Metallfolien can reprocess customer coils to your specifications for all of your production processes. 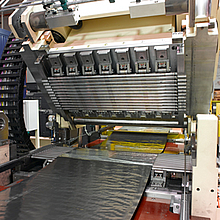 We roll, stretch, bend, degrease, and cut your coils to the sizes you specify, economically and to schedule. Please contact us for more details on contract work.